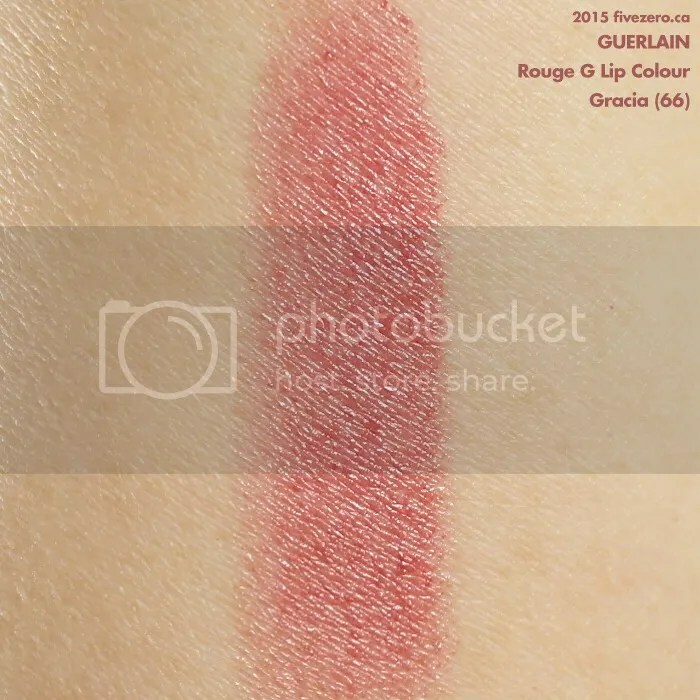 Another part of the reason I’ve waited so long to try Rouge G, despite its rave reviews and my growing curiosity, is that I had swatched a couple of them before and was not super impressed. I mean, they were nice, but $$$ nice? And…I kind of don’t like the packaging. The entire case is mirrored, so while it’s pretty and shiny, it gets fingerprints all over it. 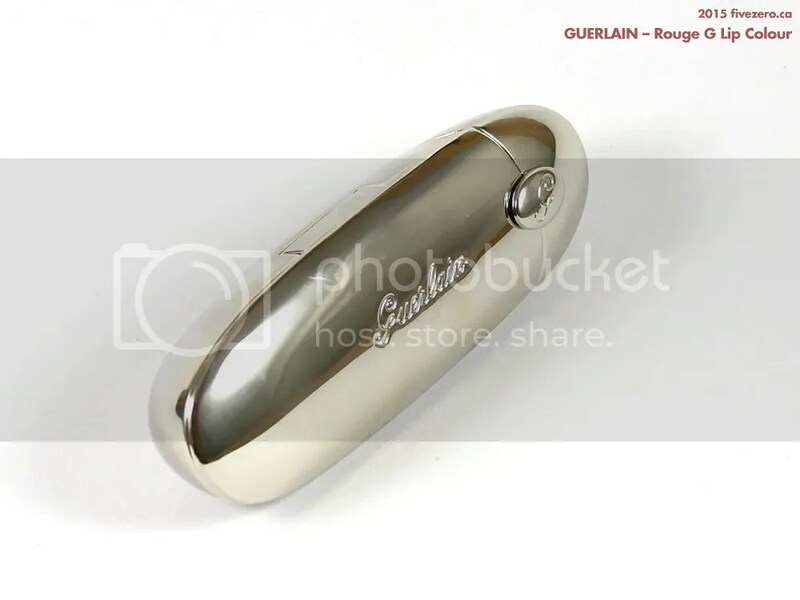 There is also a mirror on the lid that flips out when you uncap the lipstick. 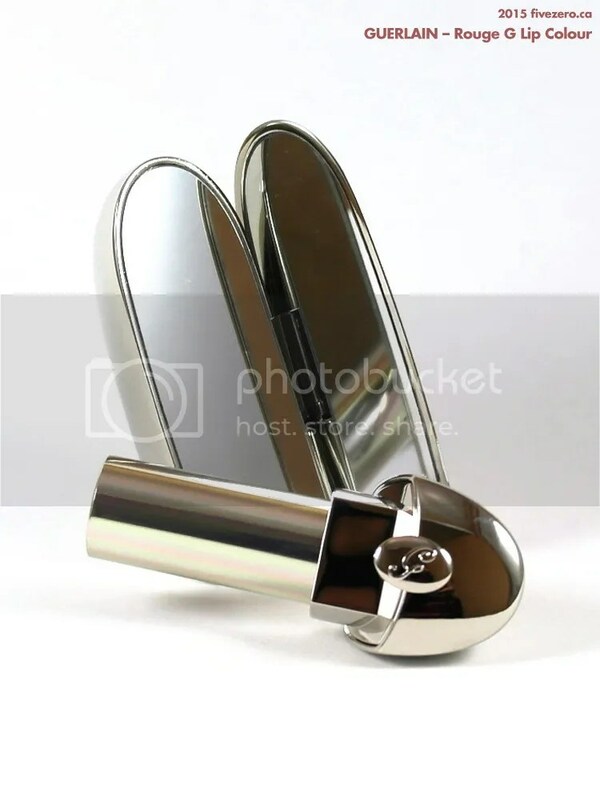 I had this sort of contraption before on some (now discontinued) Lola lipstick, and it was cute there with Lola’s retro styling, but it was also annoying. Also, I feel like the packaging is missing a trick by not including a velvet bag. 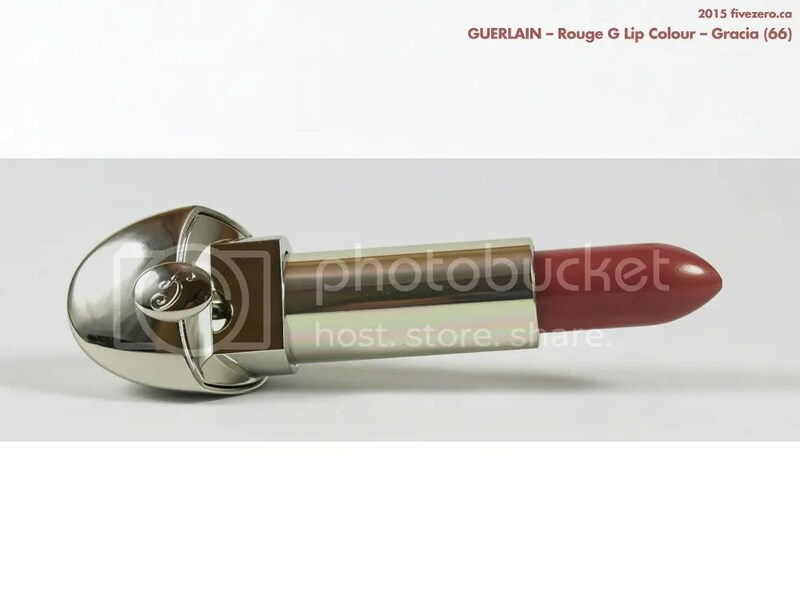 It just looks exactly like the kind of lipstick that should be stored in a black, purple or red velvet pouch. Here I am with Gracia (66) in my hand and a smaller Mother’s Day gift budget. It’s a little understated in the tube, which is a massive contrast with the container that houses it! The shade is a soft mauve-y plum with fine, warm gold shimmer running through it. In my lightbox photos, Gracia comes out looking warmer than it really is, because of all that warm gold shimmer. On the lips, Gracia feels nice and smooth, though not weightless, and it is very slightly tacky/sticky. The staying power is not bad, maybe four to five hours, and it wears off nicely. The color suits me, but it’s nothing too special. It’s not fully opaque with one stroke, so you can build the color up nicely. The fine shimmer is very pretty—that’s the main thing it has going for it. I suppose that’s the ruby-powder that they advertise is an ingredient. (I’m going to try layering it over other lipsticks just to get that pretty subtle shimmer on other lip colors.) Otherwise, I don’t feel it’s any better and doesn’t warrant the high price tag. Perhaps other colors in the Rouge G line perform better; the bolder shades might pack more punch and wow factor. I can’t say I’m dying to try them, though. So far, I’d rather spend the money on 1.5 NARS Audacious lipsticks. But, at least I got what I was looking for. Gracia is certainly is a good everyday lipstick color, it has some lovely shimmer, and it’s pretty much dummy-proof! 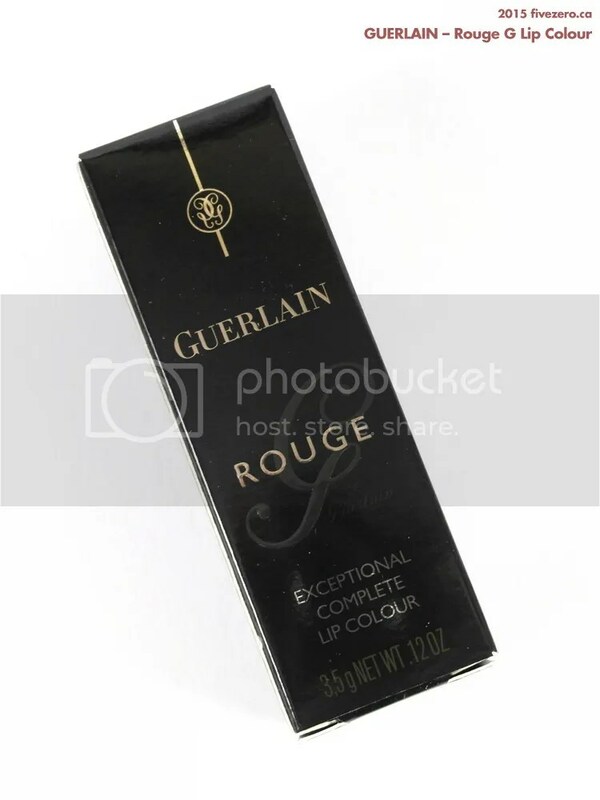 Guerlain Rouge G Exceptional Complete Lip Colour is US$53 / CA$55 and is 0.12 oz / 3.5 g. It is made in France. These are my favorite lipsticks. I’m glad you love them! Which colors are your faves? I only have one in Gemma- which is a rosey light pink and looks really natural on. I agree that they are a little to pricey. Why do I have this feeling that the built in mirror adds up to the price? I’m on you when it comes to ridiculously priced lipsticks. Totally my mindset! Nice packaging sells, alright. But the truth is, it just adds up to the cost/amount of the product your buying. The collaborator if it’s named after whatsover artist, designer etc. What I want is just a brand with a simple packaging but is true to it’s claims. I’m SO offended! Take it back, take it ALL back now! j/k – I understand this isn’t everyone’s cup of tea. I really love it but yes, the weight of it is a little bit ridiculous. Too bad you didn’t love this – well, maybe it’s good you did’t love this, you can spend that money on a few other lipsticks for the same price! Yes, it is a bit sheer. I must have picked the one blah Rouge G, huh? I’m happy that you love the ones you have. I just Googled them and they are pretty and look very wearable, too. Even though I wasn’t in love with this lipstick, I will keep an eye out for new releases. I am forever on the hunt for a vampy red that is a perfect balance of plum and brown, so if they come out with one, I will definitely be checking it out! A cream formula would be right down my alley. I think it does look cool at first; then when I started using it, the design choices just didn’t work for me. LOL sorry about the morbid casket imagery. Great pics! 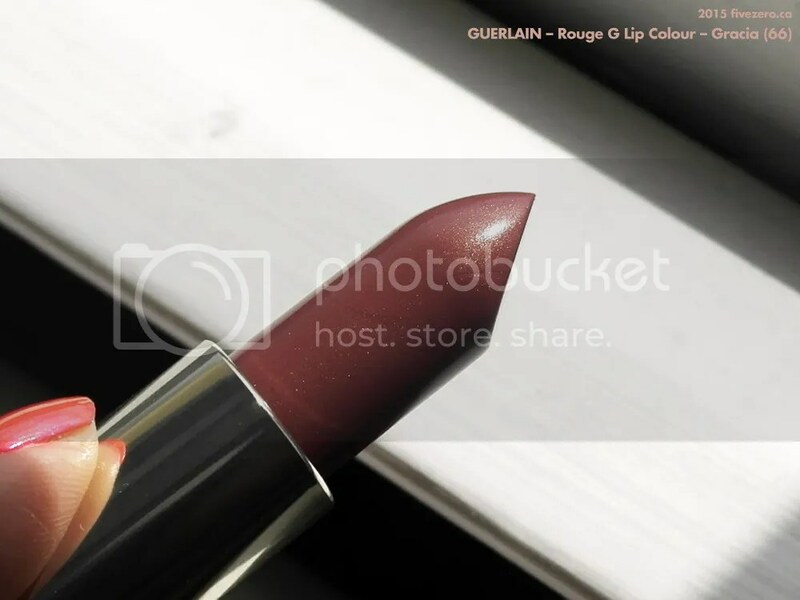 I love the Guerlain Rouge G lipstick. I feel the opposite that you do about the packaging, lol. I love the crazy, heavy, mirrored case. I’m pretty sure I’m in the minority on this one! 🙂 I can see why people love it, though. 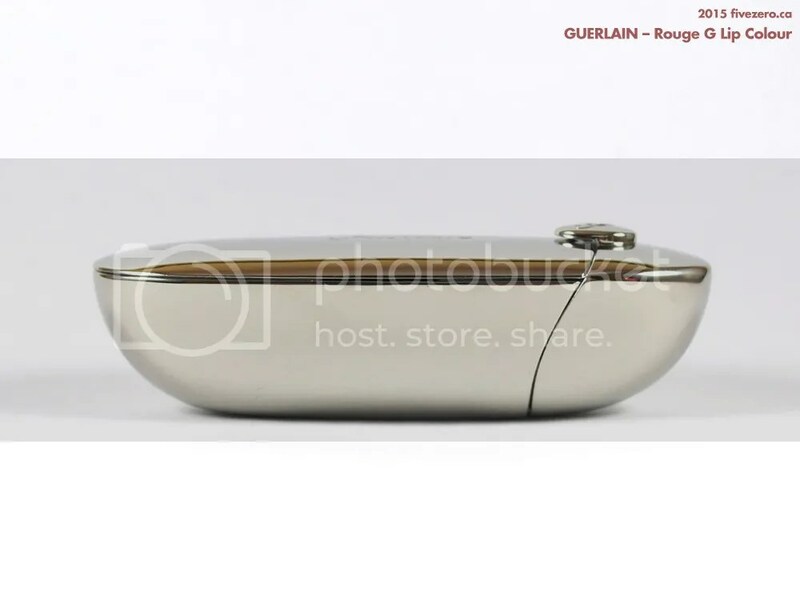 It’s certainly got that luxurious feel to it!